Continual learning is of crucial importance in the healthcare sector. If healthcare providers don’t keep up with new developments in their field of medicine, the entire sector will stagnate. Technological advancement and research in the medical sector has provided new and better or more cost-effective treatments for many diseases and conditions. If however medical personnel are not trained on new procedures, how to use new equipment or educated about new research findings, the healthcare sector won’t be able to take advantage of these advancements. One of the most efficient and cost-effective ways of providing healthcare training is through the implementation of learning management systems (LMS). The implementation of a learning management system can lead to a significant improvement in a healthcare organisation’s training efforts. There are number of great LMS providers that offer tailored LMS solutions for healthcare organisations. Let’s have a look at 4 of the best solutions / providers available today. A specialist division for this field, NetDimensions Healthcare provides customised learning management systems for the healthcare sector. They work with an healthcare organisation from the first requirements analysis to the actual implementation of a customised learning management system and offer support once the system is operational. Depending on your needs, their management system may include modules for End to End People Compliance, Clinical Staff Assessments, e-Learning, Accreditations and Competency Management, Patient and Community Web Portals and Compliance Analytics and Workforce Readiness. NetDimensions takes pride in providing a secure and always available SaaS (software as a service) learning management system. They ensure that any personal information and sensitive data that is contained in their system is fully secured. NetDimensions take a personalised approach to each project because they realise that no healthcare client has the exact same learning management needs. NetDimensions has successfully worked together with large healthcare organisations such as Centra, Nuffield Health and Unity Health System. Having developed a large client base in the education sector since 2003, Webanywhere has now developed an impressive portfolio of clients across many other sectors, including healthcare. These LMS experts have delivered healthcare elearning platforms to University College London Hospitals, the NHS and Medtronic - one of the world's largest medical technology providers. Based in Yorkshire, Virtual College offers a learning management system that is used by a great number of private and public sector companies throughout the UK. They host their solution in the cloud, which means that clients do not have to worry about system maintenance whatsoever. Virtual College makes sure that the system is running smoothly at all times and that you don’t need to spend time and money on installing updates or fixing issues. Virtual College offers a solution that can be customised based on your healthcare organisation’s learning needs. They also claim to always be on top of new e-learning developments, with a dedicated team working to continually improve their LMS. Security is one of the top priorities for Virtual College, which is why they use a tiered system that allows an organisation to very specifically set access levels for staff with different responsibilities. They also encrypt all sensitive data that is stored in their system. Virtual College’s LMS is used by clients such as Airedale Hospital Trust and West Yorkshire Fire Service. HealthcareSource NetLearning is a software solution that aims to improve healthcare organisations’ learning and competency management efforts. Proper implementation of the learning management solution will help ensure that healthcare staff receives the training that they need when they actually need it. The HealthcareSource NetLearning solution focuses on: Improving staff knowledge. Tracking education compliance. Central organisation of certifications. Reduction of learning costs. HealthcareSource customers include Huntsville Hospital and Schneck Medical Center. Learning Management Systems - What is an LMS? The term LMS is an acronym for Learning Management System, which is technology designed to assist with education and training. You can define learning management systems as software applications for "administration, documentation, tracking, reporting and delivery of e-learning education courses or training". LMS is a type of learning platform, but the terms are used interchangeably by many. All sorts of organisations use an LMS these days, including primary and secondary schools, colleges, universities, public sector organisations and private sector companies. Users usually receive a login and a password, and the administrator can then give them certain permissions, such as the ability to access particular courses and content etc. Modern learning management systems will generally remember what the learner has done within the system and will accordingly display their progress and take them to the latest point in their learner journey each time they log on. There are a range of benefits to all stakeholders of investing in an LMS tool. For businesses and educational organizations, amongst the key advantages are cost and time savings and expanded reach. For example, with an LMS, a training or learning session can be created just once and then accessed multiple times by learners, no matter where they’re based. This means teachers don’t need to repeat the same sessions over and over again when it isn’t necessary. Furthermore, learners are enabled to be more productive. They can log on and recap or do homework whenever they are able to, and many find the web-based platform more accessible and engaging than traditional tools. It’s also easy for learners and teachers to track progress. Learners will be encouraged to see how far they’ve come and how close they are to goals. Teachers can pinpoint training gaps and areas which require attention very quickly and easily. This feature can also be useful in businesses where certain training is mandatory – HR can see at a glance who has yet to complete certain modules or courses and quickly rectify the situation. Today’s LMS solutions are highly flexible and offer opportunities for boosting engagement with all types of content. For example, most LMS offerings support articles, videos, PowerPoints, quizzes, test and assessments, images and more. Learning management systems are also about community. Many include integrated features such as forums, instant messaging, event tracking and more. Also, as long as you choose the right system it should be highly customisable to meet your organisation’s unique needs and goals. On Tuesday this week, Totara Learning Solutions, based in Wellington New Zealand, launched version 2.6 of the Totara LMS Enterprise edition. Already a hugely popular learning management system within the corporate space, v2.6 shows further strides to make the platform even better for the needs of healthcare, government, not-for-profit and business clients. Totara Learning Solutions Limited was founded by well-established e-learning specialists Kineo, Catalyst and Kineo Pacific. Their mission is to transform the corporate learning management experience. Totara LMS stems from Moodle, the world's most popular learning management system, which was developed for the needs of the education sector and is used by well over 60 million learners, predominantly in universities, colleges and schools. The fact that Moodle is open source means that there are no barriers to entry in terms of licence fee costs. 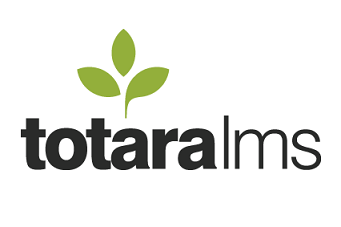 As a customized version of Moodle for corporates, Totara LMS is still available as an open source learning management system, with the Enterprise edition available through subscription, giving access to additional support and features from Totara HQ. Totara LMS has users across all sectors, with notable organizations using the platform including Tesco, Logica and NZ Inland Revenue. Some of Totara's clients train up to 100,000+ employees with the system, often based across multiple offices in different countries. Below are contact details for official Moodle Partners in the USA that offer e-learning solutions across America and beyond for businesses, schools, higher education providers, not-for-profits and other types of organization. An official Moodle Partner is a company that is certified by Moodle HQ to deliver services related to this open source learning management system (LMS). See www.webanywhere.com/moodle for more on their Moodle services.